Many Adobe CC based productions struggle with media organization, project sharing, and duplication. Strawberry’s tight integration with Adobe Premiere Pro CC and After Effects CC solves these problems and greatly improves collaborative workflows among artists, producers, and clients. 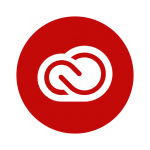 This video gives you an introduction to how we do this and shows the latest state of our Creative Cloud integration. For starters… Strawberry comes with an Adobe panel extension that can be launched directly from within Premiere Pro and After Effects. This extension offers the advanced preview and search tools available in the Strawberry client application and the Strawberry web portal. Editors remain inside the Adobe application but are able to search and preview both online and archived content at all times.